This is hands down my favorite spring salad of all time, like sunshine on a plate. 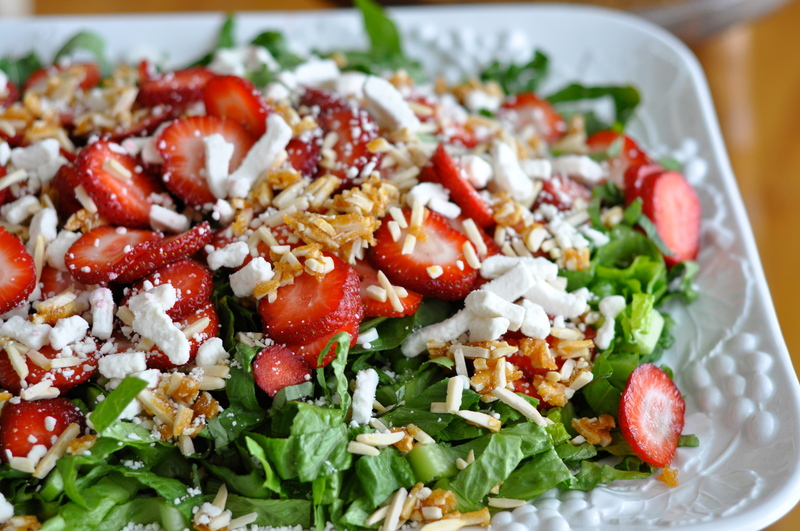 I love the whisper of basil paired with strawberries and the tang of vinaigrette. The creamy goat cheese and crunchy candied almonds are such a treat, almost like sneaking dessert. Not today, but I often added grilled chicken or shrimp to make an entree salad. Recipes shared with friends are so treasured. With food, I enjoy the story almost as much as the taste. My dear friend Peg shared this recipe with me years ago. Every time I make the salad it evokes all these memories of the adventures, escapades and antics we’ve shared together over the years. I first met Peg when we both had little, bitty infants and toddlers underfoot. I felt like I was swimming through mud at the time trying to figure out exactly how to do this thing called life with kids. My Mo-Jo was a little off if you know what I mean. Peg was a breath of fresh air, we became instant, fast friends and now I had a comrade for the journey. It’s gone way too fast, the kids are all almost off to college now. What will our next adventures be? I can’t wait to see. Layer the salad ingredients (lettuce, chopped celery, basil chiffonade, sliced strawberries, chopped green onions and goat cheese) on a platter. This is the basil chiffonade. Literally translated, chiffonade means “made of rags”. 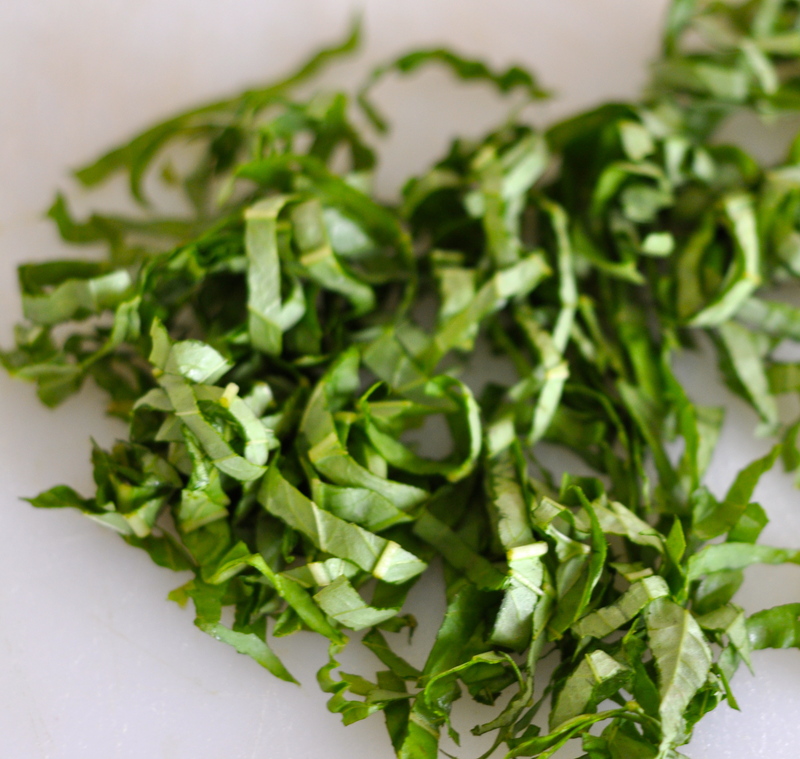 In cooking it refers to thin strips or shreds of lettuce or fresh herbs. I rolled the 5-6 fresh basil leaves up together so they looked like a cigar or log roll. Then I took a sharp knife and cut the roll horizontally to create the thin strips. For this salad, I love to cut the Romaine lettuce the same way. 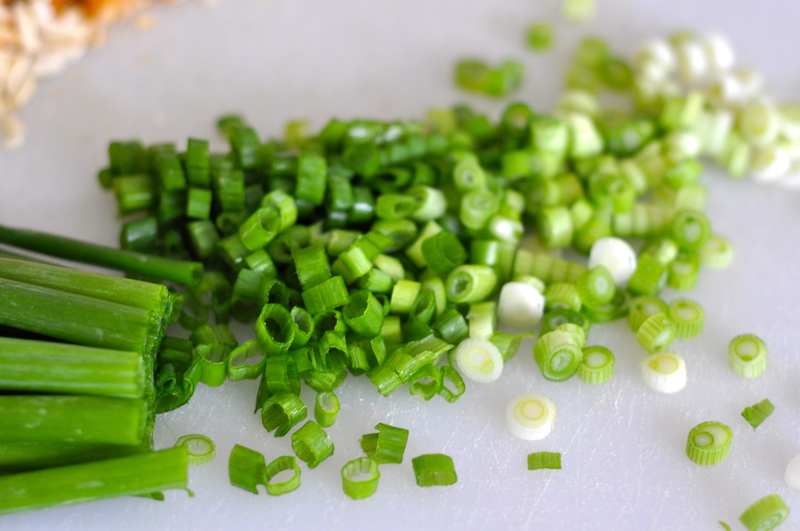 Wash the green onions. Cut off the “beard” on the white end. Slice horizontally about halfway up into the green part. The top green part usually gets a little too woody to use. 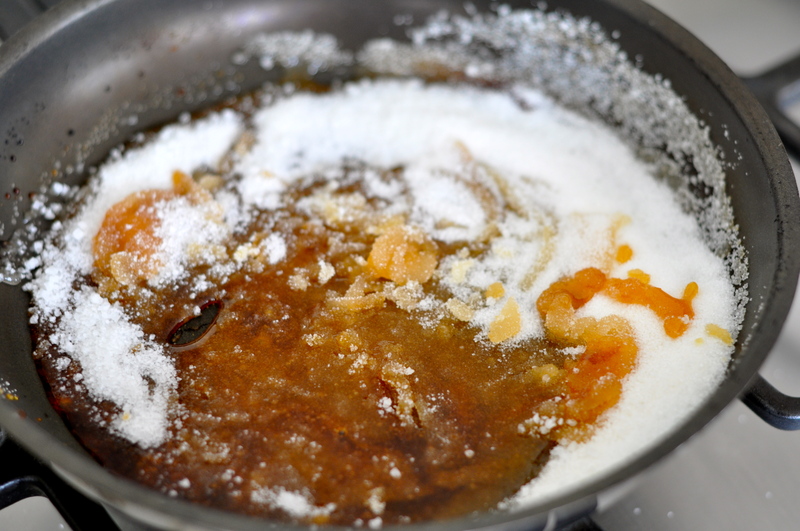 To make the candied almonds heat 1/4 cup sugar in a small non stick skillet over low heat until sugar begins to melt. (I am making a double batch here so the picture actually shows 1/2 cup sugar melting) This will take a minute or two but watch it carefully. Once it starts to melt, whisk it over the heat until smooth. 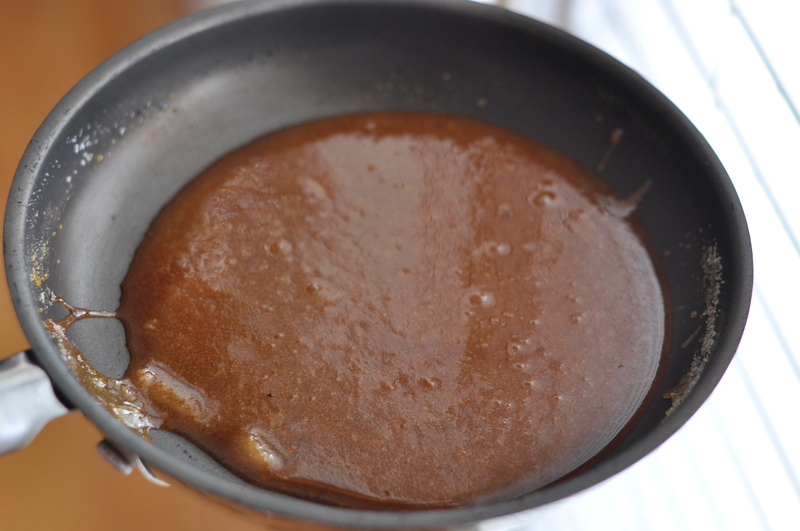 I like mine very brown and caramel colored, however cook it for less time if you want it lighter. 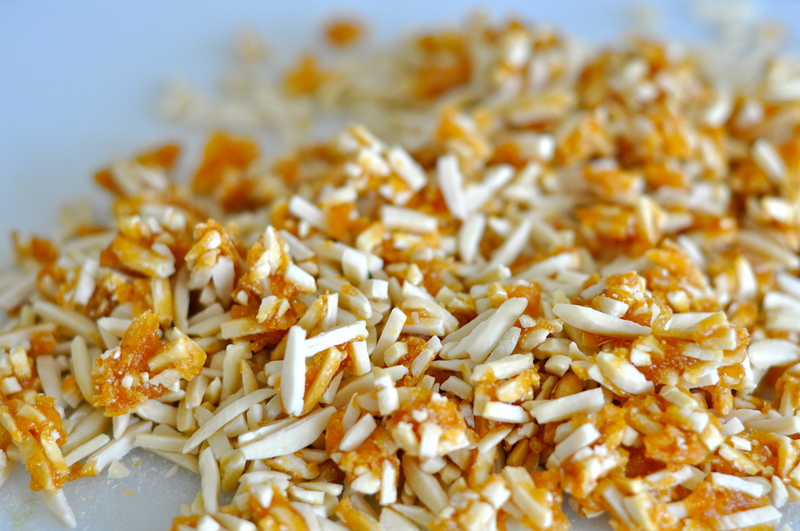 Spread the slivered almonds in a thin layer and pour the caramel over them. Toss to coat. Cool and add to salad ingredients. 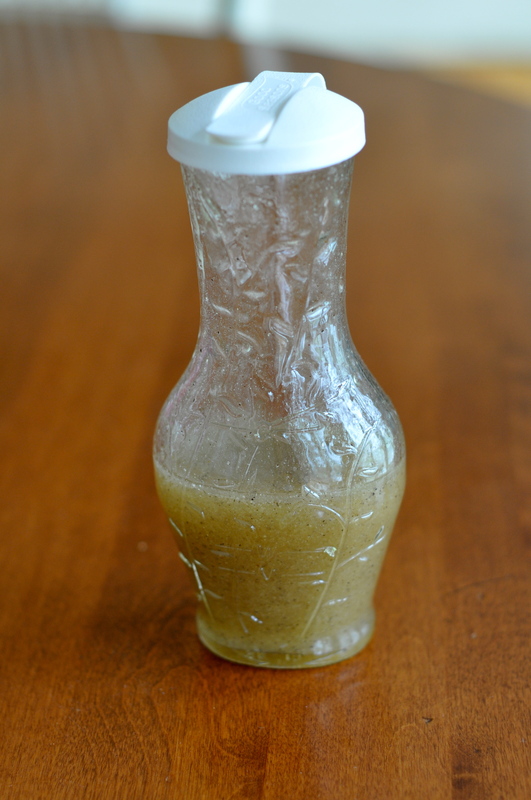 Right before it is time to serve, pour vinaigrette over the salad and gently toss. Serve immediately and enjoy!! Great moments are best with good food!